Veterans of War, the global trend in health expenses and current Electronic Medical Records. The purpose of this article is to point out the increase in health expenses worldwide and the possibility of improving benefits through the use of Electronic Medical Records in active and retired military personnel but above all in the universe of our Veterans of war. In Argentina, health spending in 2014 was 2.65% of GDP, a drop of 0.09 points compared to 2013, at which time spending represented 2.74% of GDP. In 2014, Argentina spent 6.92% of its total public expenditure on health, while the previous year had devoted 7.72%, five years earlier to 17.13% and if we go back ten years ago the percentage was 16.92% of public spending, that is to say, the proportion destined to health has fallen in recent years. In reference to the percentage that implies the investment in sanity with respect to the governmental budget (public expenditure), Argentina is in position 154. In 2014, public spending on health in Argentina was 262 Euros per inhabitant and in 2013, 298 Euros. Based on public expenditure on health per capita, Argentina ranks 74 out of 192 published countries. Health spending on US war veteransHow is spending on military personnel health divided? In 2012 at least, the expenses of the US Department of Defense were divided into three areas: $ 32 billion for the TRICARE health program that provides assistance to active military personnel, $ 19.7 trillion for the TRICARE Lifetime Program Medicare supplemental insurance for retired military personnel and then a mix that includes payment to military hospitals and health workers. The program covers 9.6 million Americans. 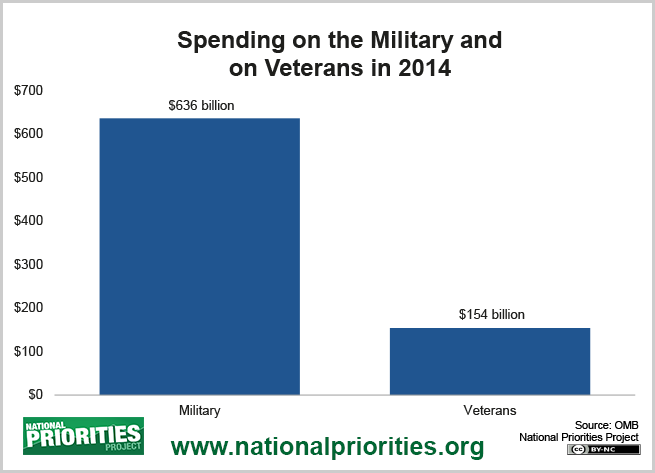 Spending on the Military and on Veterans in 2014. The active duty military personnel has priority of assistance. In 1866 the Civil Medical Assistance Program of the Uniformed Services (CHAMPUS) was created and it allowed the Secretary of Defense to contract civilian providers. In 1980 came the Reform to the CHAMPUS Initiative (CRI). Under the latter, three types of benefits were offered to the patient: 1) TRICARE Prime (possibility of choosing provider), 2) TRICARE Extra (offered a list of providers) and 3) TRICARE standard (could choose provider but costs were higher ). The latter was also offered to retired staff. With the TRICARE system USA was divided into 12 health regions with a responsible agent in each of them. Seven civilian welfare providers were hired to meet the needs of the 12 regions. In 2014, Senate Committee Chairman Bernie Sanders (Senator for Vermont) and Senator John McCain announced a bill that expanded veterans' access to various health facilities and increased reliability In the Department of Veterans Affairs. War Veterans who have a long waiting time or who live more than 40 km. away from a Veterans Administration´s provider will be authorized to would allow veterans to seek private care. An audit revealed that there were 75,000 war veterans who had to wait more than three months to be assisted by a Veterans Administration professional. It also would require the VA to establish disciplinary procedures for employees who knowingly falsify wait time data. US $ 500 million would probably be authorized to hire more doctors and nurses. An Electronic Medical Record system is an accumulation of digitized information from a patient population. Data include clinical history, prescriptions, allergies, vaccination, laboratory analysis, imaging studies, vital signs, age, weight, demographic information and billing. The paperwork is eliminated and the information kept up to date. According to the US Veterans Administration This system improves its efficiency by 6% each year elapsed. Systems have been implemented (Intermedic Trip Tix) that automatically read the written by the health agents during the ambulance transfer and turn it into digital information. Professionals can synchronize their cell phones with EMRs. The threats to EMRs are: a) By personnel or hackers, b) Environmental disasters (hurricane, fires), c) Technological failures and traffic accidents. 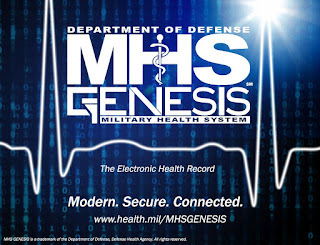 The MHS GENESIS is the last word in EMR that has acquired the US Department of Defense. It holds all medical and dental records. It will replace various systems and will comprise the Armed Forces Longitudinal Health Technology Applications (AHLTA), the Joint Compound System (CHCS) and the Joint Medical Theater Program (TMP-J). The Office of Management of the Joint Medical Operational Information System (JOMIS) is responsible for the operation of the MHS GENESIS. The acronym IOC refers to Initial Operational Capacity and describes the first destinations that will receive the MHS GENESIS. These are: Army Madigan Medical Center, Bremerton Naval Hospital, Oak Harbor Naval Hospital and Fairchild Air Force Base (92nd Medical and Dental). Those patients who move to destinations where MHS GENESIS is not yet applied may continue to use the RelayHealth / MiCare or Tricare systems online. 1. Manage medical and active duty dental appointments. 2. 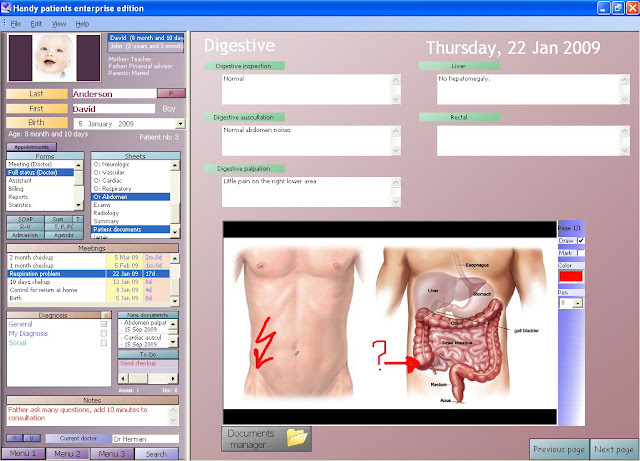 View notes from the clinical visits and certain lab/tests results such as blood tests. 3. Request the prescription renewal of medications. 4. Exchange secure messages with the health team. 5. Monitor the health information of the holder and their relatives and corroborate the care profile. 6. Complete a pre-visit active duty dental health questionnaire online. 7. Look up information related to their health concerns and medications. 8. View, download, transmit and print their health data. 9. Receive alerts about their medical exams and connect with health education links. 1. From 0-12 years: Parents or caregivers will have access to the child's records. 2. From 13 to 17 years: To enter require a password. 4. National Guard / Reserve / Retired: Enter your password. 5. Personnel who have been separated from force but not retired: That is, personnel who have completed their military service and are on their way to retirement. They are allowed a period of six months in which they keep their password. Your family members can still access the portal. 9. Papoutsi, C, J. E. Reed, C. Marston, R. Lewis, A. Majeed, D. Bell, ‘Patient and public views about the security and privacy of Electronic Health Records (EHRs) in the UK: results from a mixed methods study’, BMC Medical Informatics & Decision Making, 2015, 15 (1).